This is actually a reread for me. 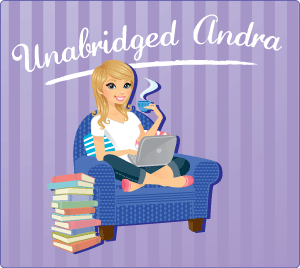 I have read the series up to (I think) the most recent book, but I did so before I started blogging, so I haven't had a chance to review them. I have checked out the first 4 in the series in audio book form from my library and am going to get caught up on the reviews! That being said, I'm going to try to incorporate my thoughts after reading/listening a second time in addition to thoughts and stuff that I remember from my first time around. I remember initially being kind of blase about the series. I began reading them when I was kind of in a rut when it came to the paranormal. I think I approached anything about vampires with kind of a bored attitude. This time around, Morganville and all it's vampires, alchemists, and mysteries really kept me entertained. Morganville is a small town in Texas that is just like every small town in the country...only it is run by bloodsucking fiends. Once you live in Morganville? Just try leaving...and you better be up on your taxes...your blood donation taxes.  The story is told entirely through the perspective of Claire Danvers. She is kind of a different sort of protagonist. She's only 16 years old, but is attending college away from home. This makes her have kind of the naive goody girl aspect, but obviously she's smart enough to be an advanced placement college student. In addition, she ends up moving in with three 18 year olds. So there's all this kind of slightly new twisting of what we normally get in YA literature...instead of a boarding school, Claire lives in a dorm and a house, instead of all girl roomies, Claire actually lives with two boys...There is a whole lot of YA literary gold just under the surface and I totally loved all of the originality that this story inspired. Claire herself was a really interesting character. She was a little on the weaker side in the beginning, but the longer she spent in Morganville, the stronger and more awesome she got. She is crafty, creative, and very smart and I just loved that about her. She also isn't mean. A lot of MC's in YA lit have been pretty snarky, on the verge of being kind of cruel...Claire is a straight-up nice girl who has landed in a crazy situation. I really liked her. I also adore the dynamics between Claire and all three of her roommates. At first, I was a little worried about that whole love triangle thing creeping up and rearing it's ugly head, but that's the benefit of adding another girl to the mix. Eve, Michael, and Shane are all individual characters with great personalities, quirks, ambitions, etc. They are so different, but at the same time they flow together extremely well and just create the air of home. I felt it, and obviously so did Claire, as she moved in with them. They make me want to go out and randomly find a house with two hot boys and one odd goth girl to move into...though with my luck, the boys would be ex-con's or something like that. Anyways, it all works out for Claire and the gang and it is very different to see teens acting grown up for once. Most of the time, the teens are reckless, irresponsible, etc...and there are times when you can see that in Michael, Shane, etc...but for the most part they are really individual and creative people that you just wanna go hang out with. The super great thing about this series is it's originality in...I guess... just the understanding of the vampires, and the setting where the story takes place. What I mean is that in most paranormal books dealing with vampires, either the entire world knows about their existence, or only the people who deal directly with them do. In one case vampires are celebrities, and in the other the vamps are terrifying monsters that are to be feared and revered. In Morganville, both of these concepts are turned on their heads and blended to make something I've never seen before. 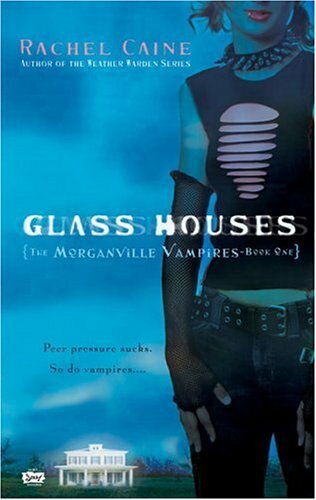 The hidden fearsome vamps are there, because only Morganville knows about the vampire's existence, but still...a whole entire town complete with extensive college campus knows about the vampires...so there's a lot of people in on the secret, ya know? This makes a really cool dynamic of Morganville vs. the rest of the world. Though there still is an air of vampire superiority, for the most part humans and vampires are working together...which complicates things for the "innocents" of Morganville. Enemies aren't black and white...you really have to be on your toes in this town, or else you might find yourself disappearing without a trace. I think I will give Glass Houses 4 out of 5 Keys! There was so much going on with the plot, with the characters, with everything that I found myself swept away for a while and really enjoyed my visit to Morganville. There was a super horrible cliffhanger, so I would advise having the next book in the series on hand if you want to sleep easy after you finish it. The only problems I found with the books was that it was too short. I would say the first 6 books or so are only about 200 pages, and they all end really abruptly. If I were you , I would invest in the omnibus that came out recently...because then you get like...4 books in one so you don't have quite so many OH MY GOD moments at the end of the books...Happy Reading! I have never read this type of book, but after reading your review I'd be willing to give this series a try, especially since the books are about 200 pages. I like books that are shorter. I love this series. What a great review. You'll love Myrnin in the audio books! I have only read the first two in this series but I thought they were great!! I agree with your review in the sense you just get sucked right in, in the first book and it's just done befor you know it! I've heard about this series a few times on the blog circuit, and I really want to read it! Sounds good. I've heard a lot about this series and have managed to get my hands on a copy of the first. Maybe I'll wait to get the second before reading the first just so I'm not left sleepless after the cliffhanger. The main thing that interests me about this book is the fact that an entire town is in on the vampire secret. I think it would be interesting to see how the situation of open secrecy is handled in this book. I expect that it will expose me to a whole load of firsts in the paranormal genre. Great review! A 16 year old college student. Whoa. Been hearing great things about this series. And Claire's roommates do sound like they'd be a lot of fun to hang out with. Good have to read these soon. I've been meaning to start this series for so long. It does sound original and that's what first interested me. The protagonist also sounds very interesting and likable. Great review! This sounds like an interesting vampire read. Can't imagine college work at age 16, wow. Thanks for the review! I re-read this book last year and read up to book 5. But I want to re-read them again and get caught up. I own all the way up to KISS OF DEATH. So when I finish all the way up to there maybe I can get the others from the library until I can buy the rest. Thanks for sharing your review! I'm glad you liked it. It's interesting, 16 year old girl in college. I've been wanting to read this for a while! i read this book n your review was really great!!! I really have to start this series!!! hearing good things about it and with your review it's a done deal! bumping this on my TBR list ;) awesome review! Your review was spot on. I have enjoyed these books from the start. I am now ready to sink my teeth into Last Breath. I do believe my favorite character is Myrnin. And if it came to be a movie Johnny Depp would be perfect to play his part!! I keep hearing, time and time again, how good this series is. The whole series so far is on the shelf at the library. They are tiny little books that can't take that long to read. And, again and most importantly, everyone loves them. Well, most everyone. I don't really know why I haven't gone ahead and tried at least the first book out and see what I think. I don't know. I may be batty. I think it is high time that I see for myself what all the fuss is about. Thanks for the review!